Construction is an industry where having the right planning skills, and knowledge about governmental and legal obligations, is essential. This program will give you the skills and knowledge required as a senior manager, site supervisor, site manager or construction project manager within a building and construction firm. You will learn from experienced experts, liaise with project managers and stakeholders in the industry, and develop high-level surveying, planning, costing, quality and risk management skills. The course will give you invaluable, hands on and industry relevant experience through visits to real building sites. It is also designed to meet the needs of builders and managers of small to medium-sized building businesses, and skills taught will include selecting contractors, overseeing the work and its quality, and liaising with clients. These qualifications are required to meet ACT requirements for Class B builder's license. The qualification will also provide the white card (CPCCWHS1001) and asbestos awareness (10675NAT) at no extra cost. Please also provide a detailed Statement of Purpose: Please describe your aptitude and motivation for study in this area of specialization, including your preparation for this field of study, your academic plans or interests in your chosen area of study, and your future career goals. The statement of purpose must include demonstrated evidence of independent research on your course content and subjects. Please be specific about why Canberra Institute of Technology (CIT) and Australia would be a good fit for you in comparison to alternate educational providers in alternate countries. Description: This unit of competency specifies the outcomes required to conduct an OHS risk analysis, including the inspection of workplaces for hazards. The development and implementation of appropriate responses, including responses required by state or territory legislation and regulations, to mitigate the risks are also addressed. The unit requires candidates to have a comprehensive and appropriate understanding of the complex range of legislative and workplace requirements to manage risk in building and construction workplaces. Description: This unit of competency specifies the outcomes required to plan on-site activities, including the employment of physical and human resources and the development of documentation and advice for relevant authorities concerning residential and commercial projects. The ability to identify appropriate resources and suppliers, and assess the availability of and requirements for skilled labour are essential. Description: This unit of competency specifies the outcomes required to supervise implementation of administration processes relating to residential and commercial construction projects. The ability to administer payments, supervise on-site communications, ensure compliance with quality control and complete record keeping processes is essential. Description: This unit of competency specifies the outcomes required to apply legal requirements to building and construction projects of residential and low rise commercial buildings (low rise' licensing classification with reference to Class 1 and 10 construction and Classes 2 to 9 with a gross floor area not exceeding 2000 square metres, not including Type A or Type B construction). Application of legal requirements includes the capacity to ensure compliance with all contractual requirements. A thorough knowledge of the application of current legal and regulatory requirements is essential. Description: This unit describes the skills and knowledge required to implement and review financial management strategies on a regular basis. It applies to individuals who operate a small business that stands alone, or is part of a department within a larger organisation. Individuals in this role interpret financial reports and other numerical data to develop financial management strategies. Description: This unit of competency specifies the outcomes required to select and prepare appropriate construction contracts, including the sections, clauses and conditions for low rise construction projects. The ability to interpret complex documents, communicate clearly and succinctly and negotiate is essential skills. Description: This unit of competency specifies the outcomes required to conduct basic measuring and levelling techniques as part of the set-out procedures performed on building projects. It includes the use of technical instruments, application of standard procedures and performance of calculations necessary in the set-out of construction projects. Description: This unit of competency specifies the mandatory work health and safety training required prior to undertaking construction work. The unit requires the person to demonstrate personal awareness and knowledge of health and safety legislative requirements in order to work safely and prevent injury or harm to self and others. It covers identifying and orally reporting common construction hazards, understanding basic risk control measures, and identifying procedures for responding to potential incidents and emergencies. It also covers correctly selecting and fitting common personal protective equipment (PPE) used for construction work. This unit meets the general construction induction training requirements of: • Part 1.1 Definitions and Part 6.5 of the Model Work Health and Safety Regulations; • Division 11 of Part 3 of the Occupational Safety and Health Regulations 1996 for Western Australia; and • Division 3 of Part 5.1 of the Occupational Health and Safety Regulations 2007 for Victoria. It is expected that site-specific induction training will be conducted prior to conducting construction work. Licensing, legislative, regulatory or certification requirements apply to this unit. Relevant work health and safety state and territory regulatory authorities should be consulted to confirm jurisdictional requirements. Description: This unit of competency specifies the outcomes required to access, interpret and apply relevant building codes and standards applicable to the construction processes of medium rise commercial and wide span buildings (medium rise licensing classification with reference to Classes 1 and 10 construction, Classes 2 and 3 to a maximum of 3 storeys, and Classes 4 to 9 to a maximum of 3 storeys, not including Type A construction). To successfully construct medium rise buildings requires thorough knowledge of the purpose and content of the Building Code of Australia (BCA), coupled with the ability to interpret other codes and standards related to a specific building. Description: This unit of competency specifies the outcomes required to monitor building or construction costing systems. The processes and practices involved in supervising and monitoring costing systems result in the ongoing maintenance of cost control and the production of expenditure schedules and other arrangements, which ensure contracts or projects remain on budget. In order to achieve the outcomes for this unit, knowledge of relevant legislation, codes and standards, industry estimating and costing systems, and financial principles is required. Description: This unit of competency specifies the outcomes required to supervise the planning process and organisation of on-site building or construction work projects up to and including medium rise commercial and wide span buildings (medium rise licensing classification with reference to Class 1 and 10 construction, Class 2 and 3 to a maximum of 3 storeys, Class 4 to 9 to a maximum of 3 storeys, not including Type A construction). Successful supervision of planning and organisation requires effective interpretation of contractual and planning requirements and development of strategies for using human and physical resources effectively in order to comply with contractual obligations. In order to achieve the outcomes for this unit, knowledge of relevant building and construction planning practices, state or territory building and construction codes, standards and regulations and human resource principles and practices is required. Description: This unit of competency specifies the outcomes required to apply structural principles to the building of medium rise buildings. The design and construction of medium rise buildings require the input of a range of skilled professionals, including architects and engineers. The building and construction professional plays a significant role within this project team and requires the ability to communicate effectively with building design professionals, and develop sound and safe practices in relation to structural procedures on site. Description: This unit of competency specifies the outcomes required to manage construction work and/or projects, which may involve fulfilling single or multi-site commercial contractual obligations. To successfully manage construction projects requires knowledge of relevant industry legislation, codes, standards, methods, procedures and practices as well as the ability to communicate effectively with others. Description: This unit describes the performance outcomes, skills and knowledge required to manage quality within projects. It covers determining quality requirements, implementing quality assurance processes, and using review and evaluation to make quality improvements in current and future projects. No licensing, legislative, regulatory or certification requirements apply to this unit at the time of endorsement. Description: This unit describes the performance outcomes, skills and knowledge required to manage risk within a project to avoid adverse effects on project outcomes. It covers determining, monitoring and controlling project risks, and assessing risk management outcomes. No licensing, legislative, regulatory or certification requirements apply to this unit at the time of endorsement. Description: This unit describes the skills and knowledge required to contribute to the systematic management of work health and safety (WHS) risk. It applies to individuals who provide specialised knowledge, systematic approaches and guidance to a range of personnel. Description: This unit of competency specifies the outcomes required to apply site surveys and set-out procedures to medium rise building and construction projects. It addresses the skills and practices required to measure, record and interpret data using measuring and levelling equipment and to set out building projects. 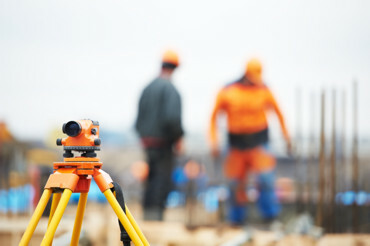 The ability to operate specific surveying equipment and apply calculations and knowledge of the Building Code of Australia (BCA) and Australian standards are essential. Description: This unit of competency specifies the outcomes required to select and manage building and construction contractors. It covers the processes and practices involved in supervising the systems through which the selection and management of subcontract resources occurs within the organisation, and through which subcontracting needs are identified and through which subcontracting needs are identified and quantified. In order to achieve the outcomes for this unit, knowledge of relevant industry legislation, standards and codes, the subcontracting system and industrial relations processes is required. Description: This unit of competency specifies the outcomes required to administer the legal obligations of a building or construction contract. It is concerned with licensing and/or builders' registration and other legislative matters as appropriate, and administering the systems through which the obligations of complying with legislation are fulfilled. In order to achieve the outcomes for this unit, knowledge of relevant industry legislation, codes, standards, regulations, licensing, employee awards, agreements, OHS, taxation and insurance is required. Description: This unit of competency specifies the outcomes required to produce three-dimensional (3-D) models for building design projects covered by the National Construction Code (NCC), except construction Type A buildings. It also covers demonstrating and discussing the representations with clients and stakeholders. Description: This unit describes the skills and knowledge required to lead teams in the workplace and to actively engage with the management of the organisation. It applies to individuals working at a managerial level who facilitate work teams and build a positive culture within their work teams. At this level, work will normally be carried out using complex and diverse methods and procedures requiring the exercise of considerable discretion and judgement, using a range of problem solving and decision making strategies. Description: This unit describes the skills and knowledge required to implement and review financial management strategies on a regular basis. It applies to individuals who operate a small business that stands alone, or is part of a department within a larger organisation. Individuals in this role are skillful communicators and interpret financial reports and other numerical data with ease. Description: This unit describes the skills and knowledge required to undertake financial management within a work team in an organisation. It includes planning and implementing financial management approaches, supporting team members whose role involves aspects of financial operations, monitoring and controlling finances and reviewing and evaluating effectiveness of financial management processes. It applies to managers in a wide range of organisations and sectors who have responsibility for ensuring that work team financial resources are used effectively and are managed in line with financial objectives of the team and organisation. Description: This unit of competency specifies the outcomes required to develop three-dimensional (3-D) models of small-scale building design projects covered by the Building Code of Australia (BCA), except construction Type A buildings, into true building information models (BIM). It also covers adding and adjusting values of components of building designs, collaborating with consultants and contractors from other disciplines, working live within the model alongside other disciplines and creating project documentation using modelling software programs. Description: This unit describes the performance outcomes, skills and knowledge required to develop and monitor implementation of the operational plan to provide efficient and effective workplace practices within the organisation's productivity and profitability plans. Management at a strategic level requires systems and procedures to be developed and implemented to facilitate the organisation's operational plan. This qualification is designed to meet the needs of builders, including selecting contractors, overseeing the work and its quality, and liaising with the client. The builder may also be the appropriately licensed person with responsibility under the relevant building licensing authority in the State or Territory. Teaching is conducted within classrooms, materials laboratories, and site based activities in semesters 1, 3 and 4. Assessment methods include web based and practical exercises simulating work based activities, theory quizzes and portfolio based assessments. Students who successfully complete the Diploma of Building and Construction (Building) and gain entry into the University of Canberra will receive 24 credit points (1 year) towards the Bachelor of Building and Construction Management (357JA). Completion of a CIT Diploma will receive 24 credit points (1 year) towards the Bachelor of Arts (429AA).